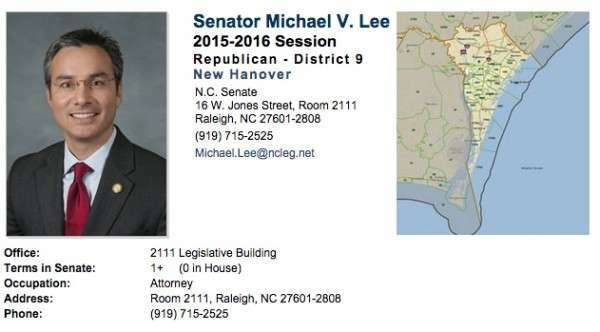 I can only assume Senator Lee is just an ill informed legislator. Because either he doesn't care about to baseless claims his constituents face from bad debt buyers or he is becoming a cheerleader for debt collectors. The News & Observer says Lee believes rolling back the 2009 consumer protections, which "passed by a unanimous vote in the Senate because, on a bipartisan basis, people were troubled on behalf of taxpayers about what was happening in the courts," is a smart thing to do. Lee's argument about making it easier for collectors to sue is that consumers can challenge the suit in court and demand proof. But we already know people are afraid and don't challenge these suits so Lee's position is effectively to retard common sense protections already in place for consumers. In my opinion, this legislation is ill-advised, ill-conceived and unwarranted. Besides, what we are really talking about here is just making sure the bad debt buyer has the information on hand to prove this is a valid debt. The only logical reason to remove this requirement would be so the bad debt buyer is not required to have this information on hand. But maybe here is another clue what might be driving this slap in the face of North Carolina citizens. The website for Michael Lee, the attorney, says "The firm focuses on...debt acquisition." Lee's idiotic sponsored bill wants to make a charge-off statement proof a debt is owed. Stricken as proof required by Lee's bill is the contract which must contain the signature of the defendant and copies of documents generated when the credit card was actually used. Left in the bill is just a requirement that to prove the debt, the debt collector needs "A copy of the contract, charge‑off statement, or other writing evidencing the original debt." Will a Post-It note be sufficient now? (8) The amount of post charge‑off interest claimed, and the basis for the interest charged." Senator Harry Brown from North Carolina is quoted as saying, "I think the intent of this bill is to find a balance between where we are today and maybe where we were before '09 ... I think the key point of this is, this is debt that someone has gone out and decided not to pay." Are the days of debt collectors sitting in cubicles “dialing for dollars” numbered? Debt collection, like many sectors of the economy, is starting to go digital. So if the idea of talking with a debt collector automatically puts your stomach in knots, you may be in for a pleasant surprise: In the not-too-distant future, your debt collector may be a computer. William Lowe, director of operations for Gluu.org, a firm that writes and supports open source security software, has experienced this firsthand. A billing glitch with a vendor resulted in a rather large and unexpected balance that couldn’t be paid off immediately. The debt was turned over to TrueAccord, which calls itself an “automated debt recovery platform.” His first interaction with them was by phone, he says, but after that, he said it was “very automated — more a 2.0 experience.” Instead of cold calls, he says, he got emails. “Rather than that back and forth haggle between a debt collector,” an online dashboard let him customize a plan, he notes. 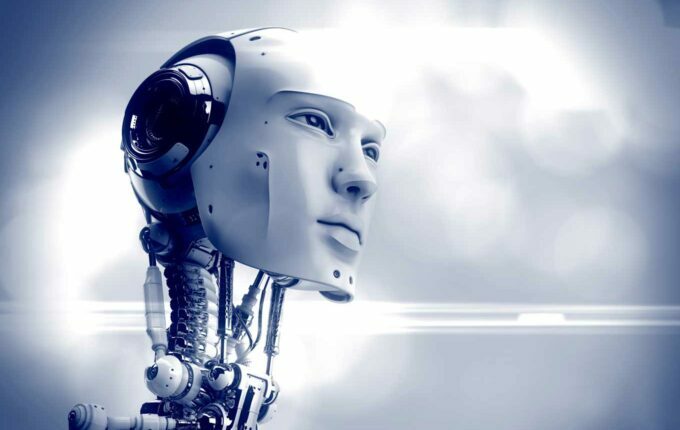 Debt collection firms use technology today, including automated dialing systems (aka “robocalls”), skip tracing to find consumers, and predictive scoring to help them identify which consumers are most likely to pay. But in most debt collection operations there is still largely a human component, with collectors trying to talk consumers into paying as much as possible. Sometimes that works well; when collectors can establish a rapport with a consumer, they may even persuade them to pay their firm before others. But at other times, it can backfire, and result in angry consumers who are unwilling to pay, or even lead to violations of federal law designed to prevent harassment. By contrast, the TrueAccord system is centered around an online dashboard that allows both the creditor and the debtor to view account balances, set up and manage a payment plan and track progress toward paying the debt 24/7. The approach appears to be working: In a March 2015 press release, the company said that in the past six months, it increased the amount of debt under management to $45M and is working with over 60 major companies to collect from more than 40,000 debtors. But when one of his debts was turned over to TrueAccord, he says the interaction was much more positive. Working with them via email and online, he was offered a range of payments, and was able to customize them to fit his financial situation. It was a “completely different experience,” he says. And because it was more positive, “I felt more motivated to take care of it,” he notes. New regulations around debt collection are expected to be announced by the Consumer Financial Protection Bureau and may open the door to approaches such as this by clarifying, for example, when and how consumers can be contacted by email. Some consumer advocates hope new regulations will require debt collectors to provide consumers with more information about balances and payment activity, and if that happens, this kind of technology could be poised to fill the gap. Of course, there are drawbacks: some consumers don’t have reliable Internet access, for example. Others may be trying to avoid dealing with their debt and no amount of technology will change that. And still others may prefer to talk with someone by phone. Yet that still leaves plenty of consumers would would welcome the opportunity manage a collection account the way they do other bills — online and automatically. How fast and far-reaching these changes will be remains to be seen. But for at least some debtors, it’s already night and day. Lowe, for example, says he’s never had a debt collector send him chocolates for Christmas. TrueAccord did. Get the latest tips & advice from our team of 30+ credit & money experts, delivered to you via email each week. Sign up now.